Product #16509 | SKU MT055XPRO3 | 5.0 (based on 1 rating) Thanks for your rating! 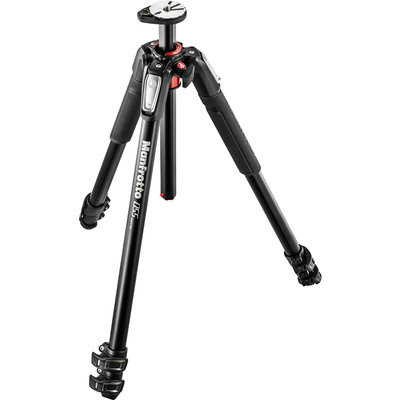 The Manfrotto MT055XPRO3 Aluminum Tripod is a three-section support that replaces the 055XPROB tripod. 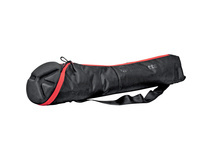 It has a load capacity of 9kg and extends from 9 to 170 cm. Its legs are secured by the Quick Power Locks. 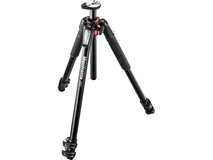 These updated flip locks increase the tripod's rigidity by 50%, and its load capacity by 2 kg over its predecessor. A redesigned center column has a "one finger" operation, and includes an Easy Link attachment for attaching accessories such as an LED light or a reflector. The center column can be positioned horizontally, allowing for low-angle and macro photography. The upper disc where a tripod head is mounted has been redesigned as well, and now has a bull's eye bubble level that rotates 360° so you can locate it where you can see it. This allows you to level your camera on both the horizontal and vertical planes.